Taking photographs has quickly become a passion of mine and something I love to learn more about. 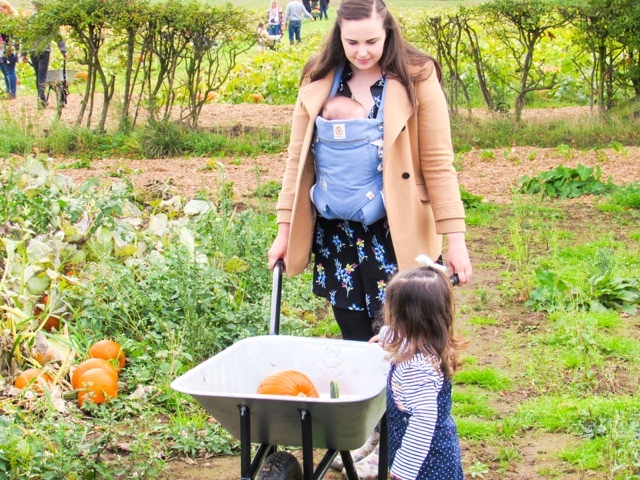 As a blogger I have taken countless photos over the past five years, from documenting the run up to our wedding day, through pregnancy and onto parenthood. 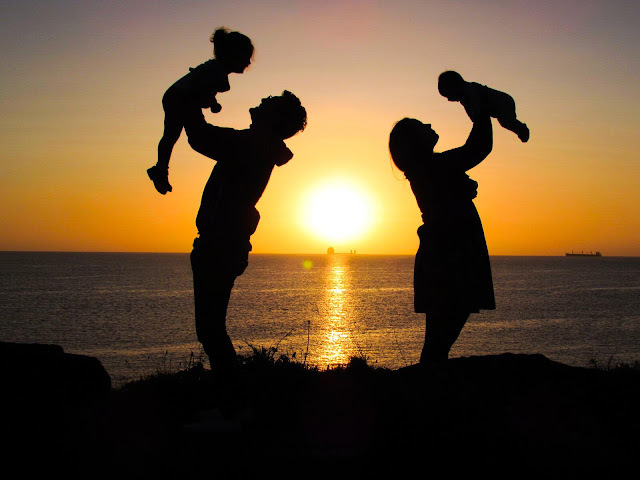 But my real love for capturing those special moments came when we had children. These days children are incredibly lucky to have so much of their lives captured through photos, films and memory books; they'll quite literally be able to relive their childhood when they're older. How amazing is that? My childhood is contained within a handful of photo albums and there are almost no moving pictures, so I take it upon myself to really try hard to take beautiful pictures of my daughters. I want them to be able to look back at all of our family adventures with fondness and gratefulness that so much was captured. Also, as a blogger there is a certain level of 'cliché' when it comes to taking photos all year round. You only have to look at my Instagram feed and that of many others to notice a reoccurring pattern at certain points of the year. In the summer our feeds fill with lashing of purple lavender fields, the pale pinks of the confetti field, then come autumn it's all about the golden falling leaves. Some may say we're all one big cliché, while others (myself included) like to see it as inspiration. Going to a pretty seasonal location makes taking beautiful photos so much easier, so why wouldn't you do it? I see so often that people are posting 'yet another' lavender field photo and apologising for it, but why should they feel like that? If you all want to fill my feed with beautiful lavender field photos then please do! Each year I had looked on enviously at everyone's photos awash with purple and not been able to find a field local to us, that was until I stumbled across Cotswold Lavender and well the rest is history. 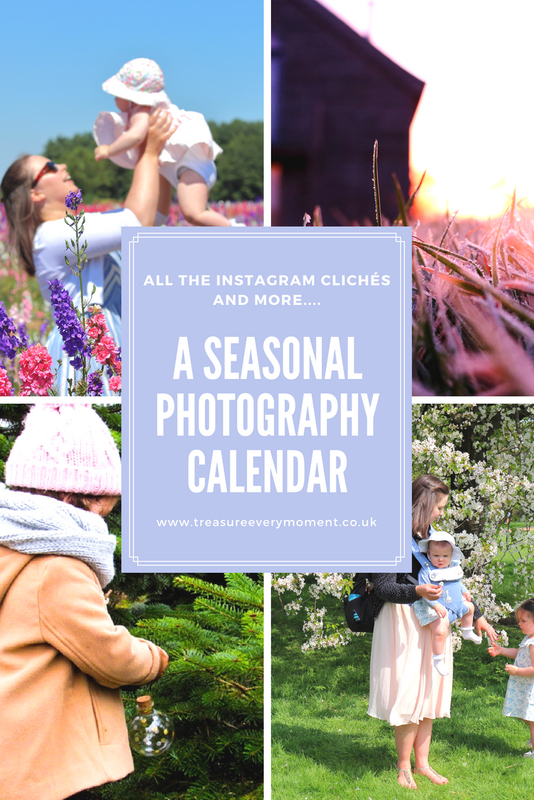 Instead of using Instagram as my inspiration and then having to quickly source flowers, locations or days out I thought I'd look back over the past year and put together a Seasonal Photograph Calendar. I'm sure I will have missed some key shots out, but these are the ones that sprung to mind for each month of the year. Now I'll be able to plan photos ahead of time, consider where to go for adventures and not miss any of my favourite places to take photos. I've also included any tips or tricks I've learnt along the way. In the winter months the days are so much shorter, so taking sunrise shots with children is a lot easier. I love playing around with silhouettes with sunrise/sunset photos, as I think they're very effective. To capture the frosty mornings I will either head out into the garden or I know of a few walkways near to where we live that have lovely views, parking and only a few minutes away. If it's a sunny, frosty morning then I'll perhaps take the girls for a walk and capture some photos during it. 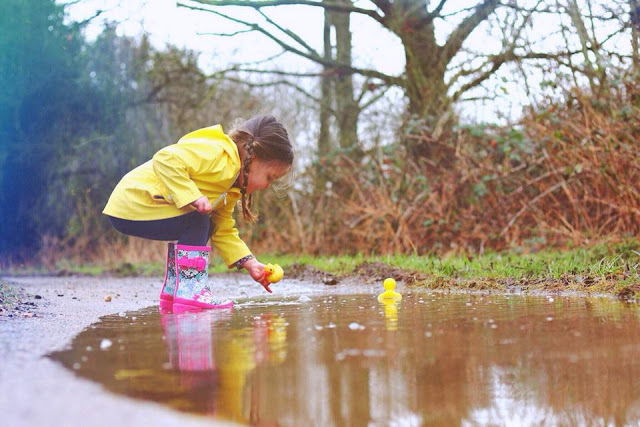 Take a couple of rubber ducks to your nearest large puddle and watch them float, race them or just let your little one splash around. The splash of yellows that appear in the form of daffodils are so welcomed after a long few months of little colour other than brown and green. A much loved time of year as blossom appears, filling everywhere with delicate pink petals. I found blossom trees hard to find in my area, so I really hunted and have noted down some of the places that had pretty trees. The photo with the girls and I below was taken in Hyde Park and it was a very popular tree for tourists taking photos within the park. Easter has to include some sort of bunny ears, Easter eggs and all of the chocolate! Bluebell woods are stunning, but hard to photograph in when it's a sunny day because of the shadows the trees cast. My preference is to try and pick a more cloudy day, which makes it easier to capture the endless bluebells scattered amongst the trees. Blowing dandelions is one of my favourite photos to take in May. I'm yet to find any poppy fields within the small window in which they are flowering, so that's the mission for next year. I was however a bit eager when it came to peonies, as I always miss their short season. As soon as they came into season I ordered a rather expensive bouquet to guarantee I'd be able to take photos with them. However I'd recommend waiting a week or so and then checking in the supermarkets because they all end up stocking them. Tesco had bunches for £5, Aldi had them for £3 and all of the other main supermarkets stocked them. This is the month for all the pretty pictures in my opinion, so fill up that camera roll. The Real Flower Petal Confetti Co. open their flower field up for 10 day of the year in July and I'd highly recommend a visit. Also, about a twenty minute drive away is Cotswold Lavender so if you're feeling productive you could always visit them both in the same day. 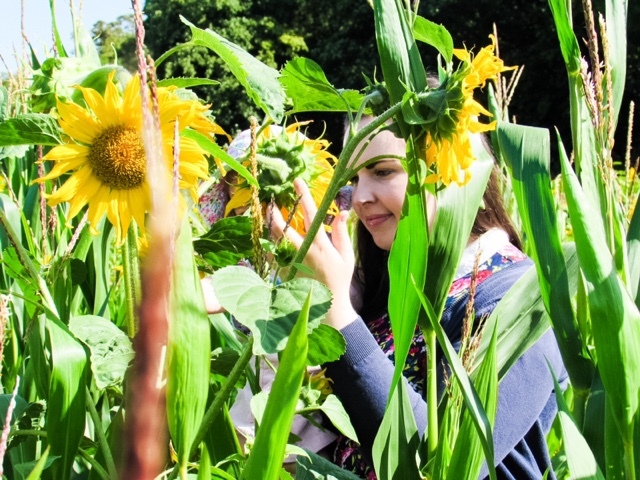 Sunflowers can often sneak into August, as many maize mazes have them too. 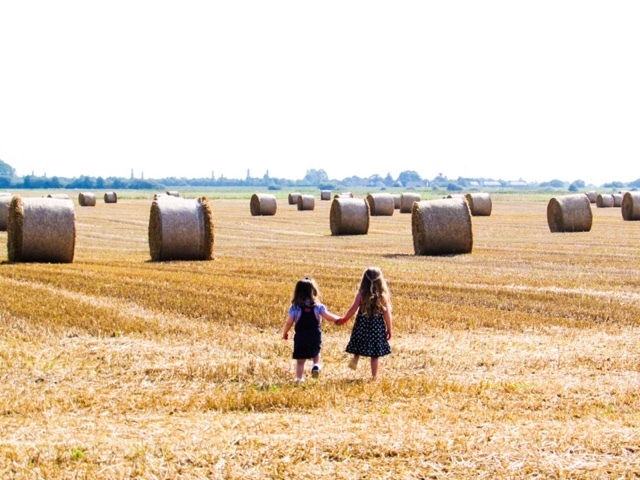 The bright yellow heads make for such fun photo props and the more pale yellow of wheat fields are stunning. Finally, it's December and all things Christmassy. 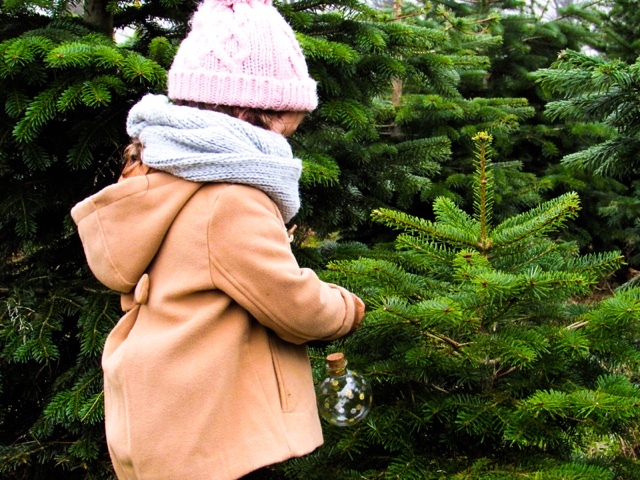 Hunting around Christmas tree farms for the perfect tree is one of my favourite December activities, especially with a mulled wine in one hand and a mince pie in the other. 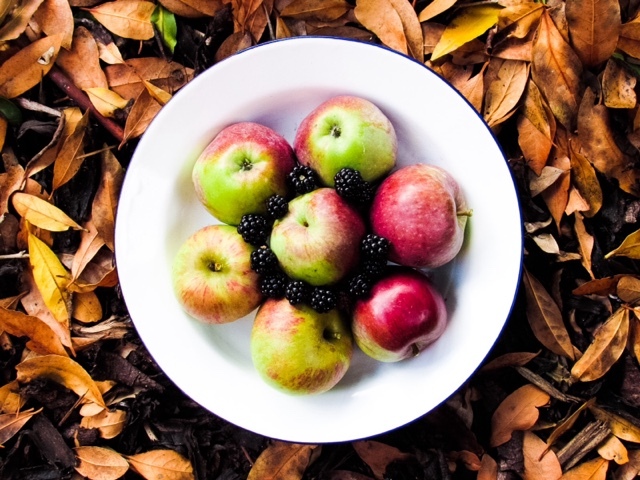 I hope this leaves you informed and inspired to take beautiful seasonal photos all year around! Which time of year is your favourite for taking photos? I am in love with all of these photos! Especially so January and February's group of photos, so stunning. I love how all the seasons change and bring something different! I’ve failed to get to a lavender field this year! Really intersting post this. I love these photos, they show off the details of each season so well! Beautiful photos, it looks very relaxing and calming, need to go to a lavender field. What a lovely idea! I love all your pictures, they are stunning, especially the ones with the kiddies and flowers. I totally totally love your photos! You take some amazing shots and your kids would be so proud of it when they grow up! Oh I love this! What gorgeous photos, I love taking photos throughout the seasons and seeing how our surroundings change! These are such beautiful photos. I need to get more confidence at taking pictures as I such, but you have inspired to me to pick my camera up more often. What a lovely idea for a post - these photos are all absolutely beautiful! I think you could also make these into a fabulous gift for family and friends for Christmas - the images are so stunning! I love taking outdoor photos in autumn and spring months. The flowers make the photos so beautiful. What an amazing collection of photos. My favourite time of year for photography is October and November for the autumn colours. There's nothing like them. I think we're kindred spirits - I have a very similar post in my drafts that I need to finish off (I've been working on it for months and it never quite gets finished!). Great ideas! What a beautiful collection of photos, I love how the colour schemes change in the pictures throughout the seasons. We took a trip to the confetti fields this year too and loved the colours there. Oh I love these. I can almost feel the temperature changing as I scrolled down. Beautiful. Your photos are stunning! I love the Autumnal ones. It's my favourite time of year. What a beautiful collection of photos! I wish I was half as good a photographer as you are! Gorgeous photos! You've captured the changing of the seasons so well - I'm sure that your children will love looking back on them in years to come! I love the flower and lavender field pictures they are stunning!! All your pictures are amazing, I love the way the colours change from one season to the next. Photographs have slowly but surely become my favourite thing and that has actually come from blogging! Without taking any extra courses or anything I feel bevausenof blogging my attention to detail when taking pictures has improved dramatically and I have fallen in love with it! I love the idea of a seasonal set of photos - I take so many I forget all of the ways I can catalogue them! I'll absolutely be doing this!